Most DUI’s in Illinois are a misdemeanor. If you are operating a motor vehicle on the public roads with a blood alcohol level of .08 or above, you could be charged with a DUI. The maximum criminal punishment for a Class A misdemeanor in Illinois is up to one year in jail and a fine up to $2,500.00. But there are situations where you could be charged with a felony. This is known as Aggravated Driving Under the Influence, or Aggravated DUI. This article discusses how you can be charged with an Aggravated DUI. Special rules apply to people who have previously been convicted of a DUI. If you are convicted of a 3rd or subsequent DUI, you could be charged with a Class 2 felony. Generally, you could be facing a penalty of between 3 to 7 years in prison, probation up to 48 months, along with fines, fees and drug treatment. If your blood alcohol level was .16 or above, you will be facing a mandatory 90 day jail sentence. A fourth offense is non-probationable and carries a mandatory 3 to 7 year prison sentence. A 5th offense is a non-probationable Class 1 felony that carries 4 to 15 years in prison. A 6th offense is a non-probationable Class X felony which carries a mandatory 6 to 30 year prison sentence. If the DUI results in the death of another, even if it’s your first DUI, you could be charged with a Class 2 felony. You are eligible for probation, but in order to be sentenced to probation, the Judge has to find extraordinary circumstances to avoid imposing a prison sentence. If you are sentenced to a prison sentence, you are facing 3 to 14 years for one death, and 6 to 28 years for 2 or more deaths. Arrested for a DUI. Warnings to Motorist and Notice of Statutory Summary Suspension. What Does This Mean? I just received a phone call from a client who was arrested last night for a DUI and was asking me questions about the paperwork that the police gave her when she left the police station. More importantly, she wanted to know what a Statutory Summary Suspension means and how this will affect her ability to drive. Because I’ve been handling DUI’s throughout Cook County, DuPage County and Kane County for 25 years, it’s easy to forget how confusing the whole DUI process can be for someone who does not handle cases like this every day. So, I want to take this opportunity to explain the Statutory Summary Suspension process so you can understanding what is happening, and what will happen in the coming months with your driver’s license. In Illinois, it is against the law to operate a motor vehicle upon the public roads while you are under the influence of alcohol or drugs. If you are found guilty of Driving Under the Influence (DUI), you could be facing criminal penalties which cannot exceed one year in county jail and a fine of up to $2,500. Most people know this. But what many people do not know is that when you have a DUI case, you also have a separate legal matter between you and the Illinois Secretary of State which involves your driver’s license. If a police officer requests that you submit to a Breathalyzer Test and your blood alcohol level (B.A.C.) is .08 or above, your driver’s license will be suspended for six months starting 46 days after your arrest for a DUI. If the police officer asks you to take a Breathalyzer Test, and you refuse to take that test, your license will be suspended for 12 months starting 46 days after your arrest for a DUI. A refusal to take a Breathalyzer Test is defined a little more broadly than simply refusing to submit to the test. If you agree to take the test and are unsuccessful in submitting an adequate breath sample, then this will be considered a refusal to submit to a Breathalyzer Test. 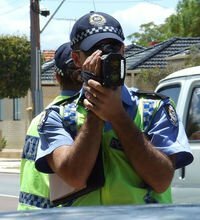 What typically happens is that the police officer will instruct you on what you must do to provide an adequate breath sample so that the machine can register a valid result. You must pay close attention to what the police officer is saying because if you do not follow the police officer’s instructions and are unable to provide an adequate breath sample, the Secretary of State will try to suspend your license for 12 months because they will consider this to be a refusal. Every year the Alliance Against Intoxicated Motorists releases it’s annual DUI arrest survey for Illinois DUI arrests. This year’s study has some interesting statistics and numbers that I want to share with my readers. The Alliance Against Intoxicated Motorists sends out surveys to almost 700 police agencies in Illinois. Roughly 81% of the police agencies responded and they release the findings every year. For 2016, Rockford reported the most DUI arrests in Illinois, with 459. The top 10 list included the local towns of Elgin, with 365, Naperville, with 312, and Carol Stream with 305. On the lower part of the top 10 was Cicero, with 305, Aurora, with 234, Lombard, with 233, Oak Lawn, with 233, Joliet, with 212, and Elmhurst, with 201. The DUI arrest statistics from Chicago are not included in the annual Alliance Against Intoxicated Motorists survey because the numbers from Chicago would dwarf any other town in Illinois, so they place the statistics for Chicago DUI arrests in it’s own, separate category. The Arlington Heights Police Department has announced that they will have a Traffic Enforcement Campaign in place from June 26 to July 9, 2017. 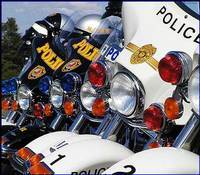 The Traffic Enforcement Campaign coincides with the upcoming Fourth of July weekend. The Traffic Enforcement Campaign will check motorists and vehicles for seatbelt violations, DUI driving, and a roadside safety checkpoint. The first roadside safety checkpoint will take place on June 28th on Arlington Heights Road just south of Algonquin Road. A roadside safety checkpoint is a way that the police can look inside your vehicle and pull you over to the side if they smell something, or see something inside the car, or suspect that the driver is up to no good. What the Arlington Heights Police are planning on doing this weekend is commonly known as a “Police Roadblock.” The Arlington Heights Police will be looking for people that are not wearing their seat belts and are Driving Under the Influence of Alcohol or Drugs. The enforcement campaign is being paid for with Federal Traffic Safety Funds and administered by the Illinois Department of Transportation. If the Arlington Heights Police pull you over and suspect that you are Driving Under the Influence of Alcohol, you will be asked to pull over and exit your vehicle. The police officer will ask you to perform a series of tests on the side of the road (Field Sobriety Tests) to determine whether you were Driving Under the Influence of Alcohol. If the police officer has reason to believe that you are drunk, the officer will ask you to take a Preliminary Breath Test (PBT). The results of the PBT test cannot be used against you in court to prove that you were Driving Under the Influence of Alcohol. But the results of the PBT can be used to establish probable cause, or a valid reason, for the police officer to place you under arrest for a DUI. If the police officer believes that you failed those tests and the PBT detected alcohol in your breath, the officer may take you down to the Arlington Heights Police Department and ask that you take a breathalyzer test. The Arlington Heights police officer will inform you that if you take the breathalyzer test and the test registers a blood alcohol content of .08 or above, not only will you be arrested and charged with a DUI, but your license will be suspended for 6 months. The Arlington Heights police officer will inform you that if you refuse to take a breathalyzer test, your license will be suspended for 12 months. This license suspension is known as the Statutory Summary. If you refuse to take a breathalyzer test the officer may still arrest you and charge you with a DUI if the officer believes that he has enough evidence to prove you guilty of a DUI in Court. Proof that could be used against you could be the results of the Field Sobriety Tests, the officer’s observations and opinion, any statements you made to the officer, any witness statements, and any video of you of the Field Sobriety Tests. If you are charged with a DUI in Arlington Heights, you will be allowed to post a cash bond at the Police Station and go home. Your car will be impounded and you will need to pay fees to the Village of Arlington Heights to get your car back. The longer you wait to get your car back the higher the fees will be. You will be assigned a court date at the Cook County Courthouse in Rolling Meadows. All Arlington Heights DUI cases are held at the Rolling Meadows Courthouse. The Statutory Summary Suspension of your driver’s license will take effect on the 46th day following your arrest for a DUI in Arlington Heights. The only way to stop the Statutory Summary Summary Suspension of your driver’s license, or to reinstate a suspended license following a Statutory Summary Suspension, is to file a Petition to Rescind the Statutory Summary Suspension in Court. The Petition to Rescind the Statutory Summary Suspension can be filed anytime after you are arrested. However, you cannot file a Petition to Rescind the Statutory Summary Suspension more than 90 days after you are arrested for a DUI. 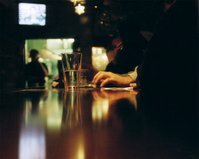 What Rights Do You Have if You Are Charged With a DUI? Being arrested for a DUI can be a very confusing and stressful experience for most people. Based on my 25 years of experience in handling DUI cases throughout Cook County, DuPage County and Kane County, I can tell you that most of the people that I have represented for a DUI are not criminals, nor are they bad people. Most of the people that I have represented for a DUI are hard-working citizens who have no criminal record. Some of them have never even received a traffic ticket. They simply made a mistake and were at the wrong place at the wrong time when they were caught driving when they had too much to drink. As a result, most of the people calling me wanting to discuss their DUI have lots of questions and want some guidance on what they need to do and what is about to happen to them. I want to take this opportunity to explain the process and what to expect. If a police officer takes you down to the police station and asks you to take a breathalyzer test you have the right to refuse to take a breathalyzer test. But if you refuse to take a breathalyzer test, you will be facing a mandatory 12-month suspension of your driver’s license. If you agree to take a breathalyzer test then you must listen very carefully to the instructions given to you by the police officer. If you fail to properly blow into the machine, that failure will be considered a refusal to take a breathalyzer test which will result in the 12-month suspension. It’s not enough to argue you tried to follow the police officer’s instructions the best you could but failed to provide an adequate breath sample. It is your responsibility to listen to the instructions and provide the adequate breath sample. If you take a breathalyzer test and the test indicates that the blood alcohol level in your system was .08 or above, you will be facing a six-month suspension of your driver’s license. The suspension of your driver’s license will begin 46 days after the arrest. Until then you can legally drive your car.